Outside of the holidays, when all bets are off, we usually assume that we will know when we have eaten the right amount of food per meal, don’t we? Or do we? Surprisingly, research implies otherwise. There have been a few studies conducted about human hunger and satiety and whether or not we automatically know when to stop eating based on physical signals. If we are fortunate enough to have regular access to food, we know what it likes to feel full. The average adult human stomach holds about one liter volume of food. It can also stretch to hold up to about four times that much, an amount similar to a one-gallon water bottle, so no wonder it feels full after a big meal. 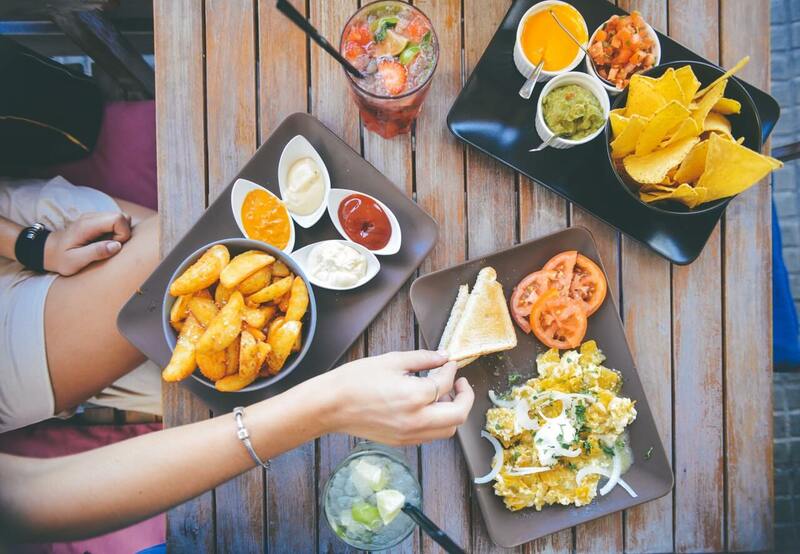 To learn more about the causes behind overeating, Professor Paul Rozin and others conducted a small but significant study in the 1990s that revealed some interesting information. The results were reported in the journal Psychological Science and in an article in the New York Times. His method was to work with three patients who had severe amnesia. They barely recalled anything that had occurred more than a minute beforehand. He fed them all a meal and then, ten minutes later, fed them another. After another ten minutes had passed since the second meal, he fed them a third meal. Each repeated meal was received with the same enthusiasm as the first. One of the participants announced after the third meal that he planned to “go for a walk and get a good meal”. He repeated this experiment on three separate occasions and each time, he got the same results. It seemed that the patients’ memories were the biggest factor in their willingness to eat another meal. The part of their brains that signaled satiety had diminished in function along with their memories so when they didn’t recall the meal itself, they didn’t feel full. Rozin wrote that memory was possibly “a substantial contributor to the onset or cessation of eating a meal”. “We’re just not very good at remembering what we’ve eaten previously”, says David Just, a professor of behavioral economics at Cornell, “And even when we are, we’re not very good at compensating for it”. Our eating patterns can vary from day to day depending on our circumstances. This is fine, as we evolved to survive even in lean times. As long as we adjust for overeating as well, that won’t undermine us too much either. But the idea that we have an inbuilt regulatory system to control the amount we eat could use some re-examination. We can experience satiety just based on anticipated portion size and the expectations we have about whether the food will satisfy us or not. A few other factors can affect the amount of food we eat. For instance, the size of the plate your food is served on and even the size of the table you eat at can play a part. These are factors that influence the perception of the amount of food in a given meal. If it’s convenient to eat more, we are more likely to keep eating and not feel full until we have stopped, according to Traci Mann, teacher of psychology at the University of Minnesota and author of “Secrets From the Eating Lab”. Her book takes a look at why diets don’t work. “The easier it is to eat, the more you’re going to eat” says Mann, “If you’re just gone grocery shopping, you’re going to eat more; if you’re at a buffet, you’re going to eat more; if food is sitting within arm’s reach, you’re going to eat more.” So having food and snacks in plain sight and within easy reach actually encourages us to eat more. Putting the food away in the refrigerator or into a cupboard where it can’t be seen is actually a simple but effective way to reduce unnecessary eating. So, other than putting food out of sight and beyond easy reach, how else can we allow ourselves to eat only when truly hungry? It’s long been suggested that simply drinking a glass of water before a meal will cut down on the amount of food we want to eat. We can also establish a more mindful connection with the food itself. It is, after all, precious nourishment that is entering our bodies to provide fuel. It’s hardly surprising that so many spiritual practices include some sort of blessing at the beginning of a meal. Many people have dinner while watching television, but it is actually much more satisfying to focus on every bite, chew slowly and maybe enjoy a sense of community by sharing the meal with friends or family. Being fully present for the experience of eating also establishes it in the memory, which ties in with Professor Rozin’s study results. So, while we think that we have this appetite thing handled, it’s quite humbling to know that something as simple as memory can play such a large part in how much we eat. It would be interesting to know if Professor Rozin had kept going with his amnesiac patients to the point when they finally stopped eating, how many meals they would have consumed. Maybe that would have been an unethical approach. But when we know that many of our household pets are opportunistic feeders and we share some of the same traits, ready to eat whenever food is available, maybe we’re not such a superior species after all.